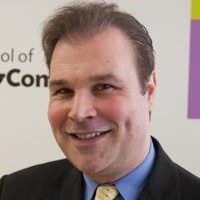 Thomas Draper is an Associate Lecturer at Prague College School of Business. He has a wealth of teaching experience both in the UK in various schools and colleges, and in Prague. He initially worked in the Environmental Impact Assessment field, undertaking work for the Ministry of Agriculture in the UK for the economic audit of farm subsidies. Thomas has three different degree level qualifications, including a BSc (Hons) in Rural Planning from Anglia Ruskin University , an MSc in Environmental Impact Assessment from Aberystwyth University and a PGCE (Post Graduate Certificate in Education) from the University of Greenwich. He also holds the ARLA qualification in Residential Management and his family owns a firm in this field in the UK. He is a member of the Royal Society of Literature in London, he has recently become a father and is currently working on his third book of poetry.